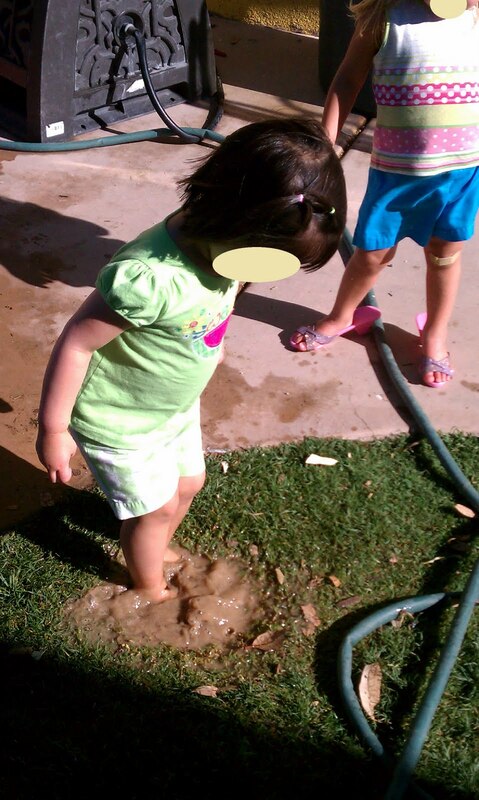 There was a time not too long ago I would have FREAKED OUT if I saw a child jumping in the mud puddle. I would have made the kids put their shoes back on, go dry in the sun, and I would have blocked off the puddle. Over time, the more experienced I have become, the more I realized the losing battle I had been fighting with getting messy. 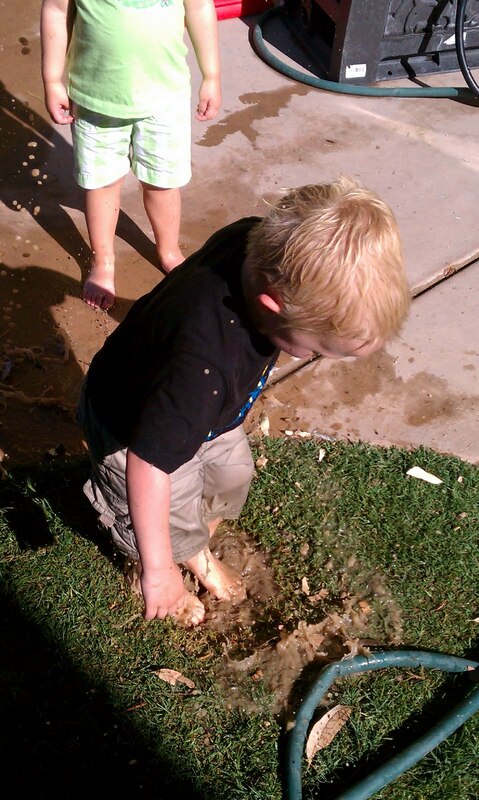 It is in our very nature to dig, splash, and explore, and it is our duty to foster that natural curiosity in children. Will they make a mess? Absolutely. I have extra clothes available in my classroom at all times. 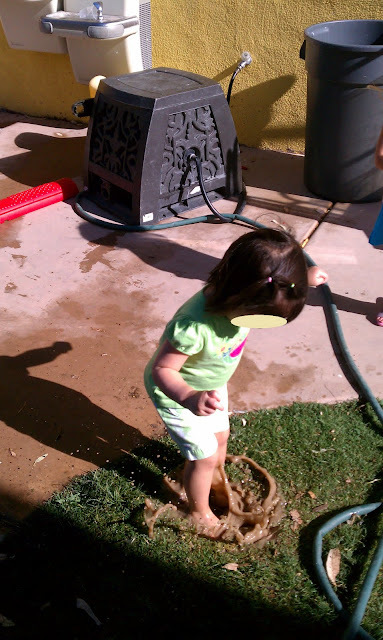 I ask parents to make sure to send a change of clothes for messy play. I keep towels handy at all times, and a hose for really messy situations. 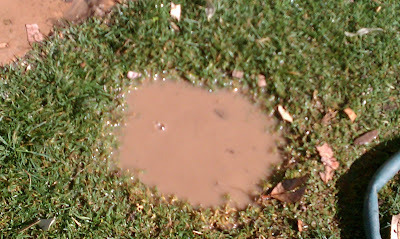 On this day, I saw Peyton had taken off her shoes, and was exploring the puddle. Instead of freaking out, I got out my camera. She began to attract a crowd. 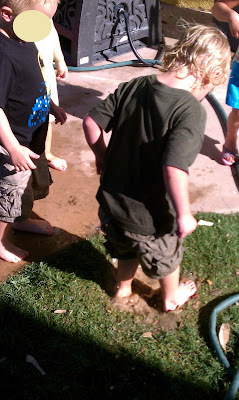 Before I knew it, the others took off their shoes, and were taking turns splashing, too! Without the opportunity to get messy, children will not learn to appreciate being clean. Jumping in a puddle is taking a risk--six months ago, there is NO WAY Christopher would have jumped in that puddle. He had a panic attack with even a drop of water on his shirt. Now I can't keep him away from the messy activities! And I don't intend to. 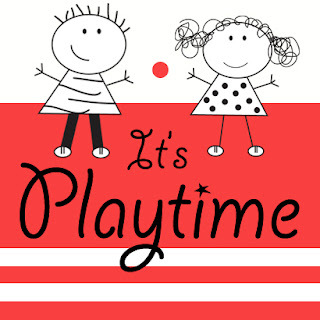 Through their interactions with the environment during play, children gain control and ultimately mastery over a range of manipulative and motor skills. 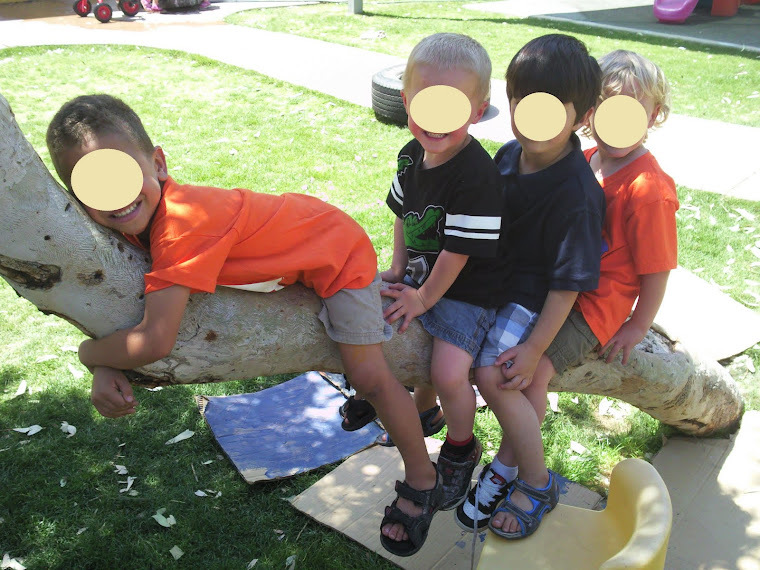 This is what I love about outdoor play--it provides open-ended opportunities for play that at times are unpredictable and sometimes risky--however it is through these risks that children learn problem solving and develop social confidence. Children need the freedom to take risks in play because it allows them to test the limits of their development, physically, emotionally, and cognitively. Good question, Annie. I have a note posted on my classroom door called, "RED PAINT IN THE HAIR?!" I downloaded it off the Ooey Gooey website. I also have a meeting with pArents before they join my class, and let them know how hands on we are. But the best tool I have is my camera. 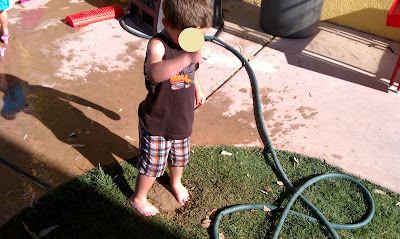 When I capture moments like this, I email parents updates of what their kids have been up to. When a teacher can articulate WHY we get messy, and is prepared with extra clothes, parents tend to relax a little. Thanks for visiting my page! 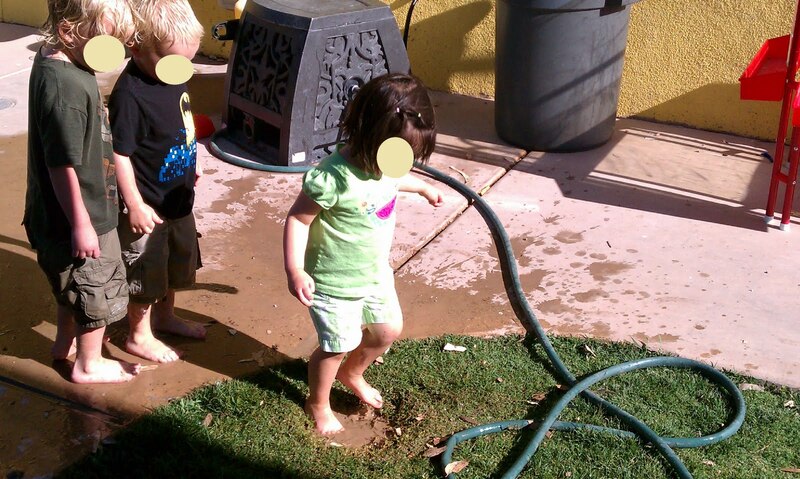 I often find parents are more than happy to let the kids engage in messy play *at my house* rather than at theirs! 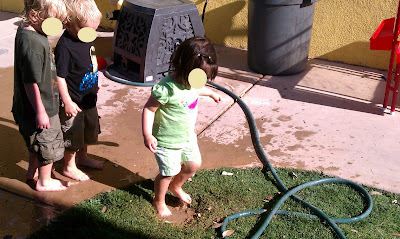 I had to feature some good puddle jumping in my roundup of dirty, muddy ways to play! This is terrific!